We would be pleased to discuss our transcription and/or editing pricing structure with you. We know every project has specific requirements and we will gladly tailor our services to meet your needs. 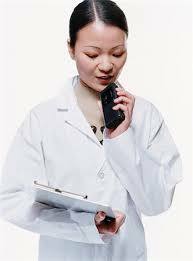 Outsourcing to Precision Medical Transcription Services makes transcription costs truly affordable. With us, there is no transcription cost if there are no dictation from you. Savings are immediately realized from our rate per line costing or rate per dictated minute. There are two ways that we apply charges for transcription. We charge on a per line basis. This is based on an 80 character line (characters and spaces). Our accurate count software is among the latest innovations for this purpose. Our standard rate is 14 cents per line. If fast turn around time is what you need (24 hours or less) the rate is 20 cents per line. We can also charge using an alternative method, the dictated minute. Our rate is lower than many companies charging by this method. These costs include not only transcription but editing and spell checking as well - something other companies charge extra for but do not always disclose to you up front. There are no hidden costs. Do you require editing of reports only? Our rates are very affordable and competitive. For as little as .05 cents per line** we can edit your reports and get them back to you for distribution. Fast! You are provided a detailed invoice for each job submitted. We offer fax services at a rate well below your office faxing rates. Internet Based: Precision Medical Transcription Services customers have 24/7 access via the internet, enabling you to send or receive your reports. Security: At Precision Medical Transcription Services we subscribe to a secure platform for all correspondence which is PIPEDA/HIPAA compliant. Costs for stationery include: extra (if applicable). Q: Why do you charge for spaces as well as character? After all it's a blank space. A: Simple - Each space is also a stroke - same as any letter. Would you like to read a letter with spaces or aletterthathasnospacestodividethewordsforeaseofreading? At Precision Medical Transcription Services our lines are based on 80 characters - many others are based on 65. Q: Are my files sent out of the country like some companies that I have heard of? A: No. Never. Precision Medical Transcription Services support the local work force. Our transcriptionists are all in your local area and your dictation will never be sent overseas or to a third world country. Q: Why Outsource? I have staff for that. A: Running a transcription department within a healthcare facility is often a drain on resources, and keeps administrators and doctors occupied with mundane issues that can be easily outsourced. Smooth running of a transcription department becomes a priority and a full time job for many, and takes away precious resources that could be better spent on patient care. In addition, outsourcing frees up valuable office space...a much sought after resource at most healthcare facilities. Precision Medical Transcription Services provides you and your staff with the much needed time for other activities within the office setting. ** Subject to quality of voice dictation sent with your reports.